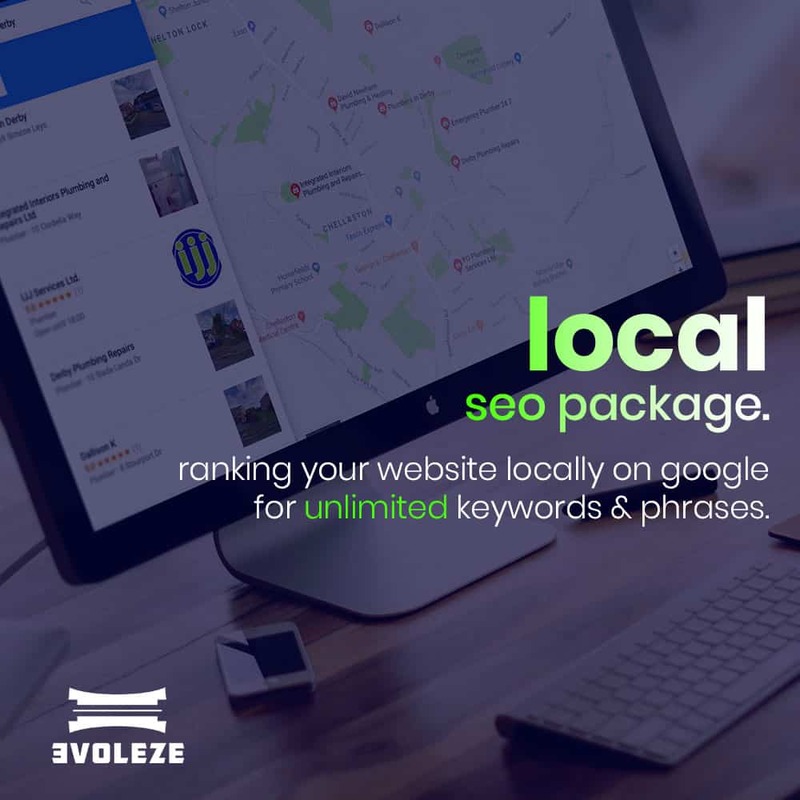 Local SEO package design to rank your website within your local area. Upon receiving your order we will contact you to discuss your requirements for your local SEO package. Your account manager will contact you via phone or email within 24 hours. We do not limit the amount of keywords we rank your website for. Only focusing 5-10 keywords will look unnatural to Google and effect your search engine rankings, this is why we provide unlimited keywords with your package! A keyword or key phrase is what a user types in Google to find a service or product. For example, if you’re an electrician based in Derby, one of your keywords would be ‘Derby Electrician‘. Our team researches your industry, website, business and latest/future search trends to create a high converting list of keywords. We ensure that all ranking factors are covered on your website. This includes meta tags, content, internal link structure, outbound links, load speed, images, schema markup, index bloat, conversion rate optimisation, page headings, 301 redirects, sitemaps, google analytics, google search console and social media linking. Our writers will create weekly blog posts containing a minimum of a 1000 words thats high value and informative to your audience. An active, quality blog with correct internal and external linking is a huge ranking factor. With each blog post we publish for you, we look to marketing your posts to relevant blog networks within your industry and social media accounts in order to increase traffic, inbound links and social media likes/followers. 1 quality backlink is worth a lot more than a 1000 poor backlinks. We don’t waste our time or your time creating poor links. Each week we look to create strong backlinks by approaching relevant industry websites. No spammy links, no link manipulation… only strong, quality backlinks that benefit your rankings. We craft bespoke graphics and videos to use on your business Facebook, Twitter and Instagram accounts. We accompany a high converting post with your graphics/videos. We can provide a post scheduling service where we can post directly to your social media accounts for you or we can send the graphics straight to you. We boost followers across Facebook, Twitter and Instagram accounts on a weekly basis. Not only does having a strong brand increase search engine rankings, it also builds user trust. This will help boost enquiries and sales. Our team will work on getting your brand mentioned on the right websites and social media accounts (influencers). Each month you will receive a detailed report about your keyword positions on Google, total monthly visitors, social media analytics, backlinks and more. Your dedicated account manager is available to you 24/7 by phone, text or email to answer any questions you may have. Your account manager will give you regular updates on your SEO campaign.